The Cosmic Patterns Software team is dedicated to developing the highest quality and standard in astrology software. 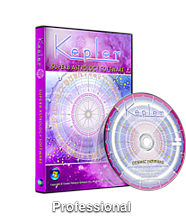 We develop the world's finest astrology software at the best prices. We have received glowing reviews for decades and we continue to be the leader in astrological software development. Requests and suggestions from our customers drive our software development. Therefore, you, our clients and customers, are also part of the team. Without your support and participation, the work would not be possible. Kepler is for people with any level of experience, from novice to professional. Novices can stick to the basics, and experts can use the advanced features. Wonderfully easy to use. A very exciting version 8.0 release in 2015! Click here for the Press Release!!! Pegasus is similar to Kepler, but has fewer features. 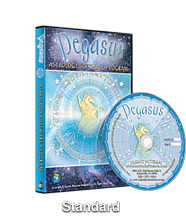 Pegasus was created for people who either wish to have one or more of our report options without needing to purchase the entire Kepler program, or who are starting out in astrology and wish to have an easy to use program. Bindu is our Newest professional software with a large variety of tools and techniques of Jyotish, western and medieval astrology. Employing highest standards of software developments, Bindu enables the users to benefit their maximum knowledge and even more. We have the World's Best and Largest Collection of Interpretive Reports. These report options are not stand alone program. Requires Kepler, Sirius, or Pegasus to run. 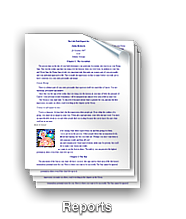 These ASTROLOGY REPORT OPTIONS provide you with options for more thorough analysis of your chart and also interpretations that focus on particular areas or issues that are not in the report included in Kepler or Sirius. Click here for a summary of all reports available in all languages. These options extend the power of Kepler in exciting ways! The Cosmic Patterns Software team is dedicated to developing the highest quality and standard in professional astrology software. We develop the world's finest professional astrology software at the best prices. We have received glowing reviews for decades and we continue to be the leader in astrological software development. Requests and suggestions from our customers drive our software development. 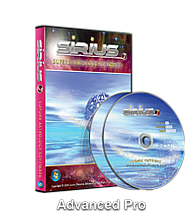 Superb Astrology Software: Sirius, Kepler, Pegasus.